Dr.Anil - Marketing Musings: Marketing lesson for the day: Confused Cinema Celebrities! - Switch to active Life style (Protinex) from Thums Up. I AM CONFUSED! Marketing lesson for the day: Confused Cinema Celebrities! 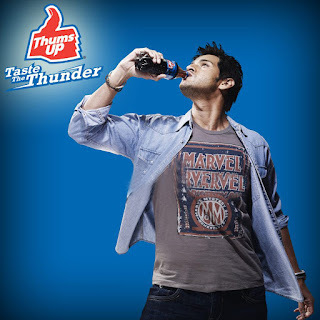 - Switch to active Life style (Protinex) from Thums Up. I AM CONFUSED! I was having lunch and was watching Dookudu at the same time. An advertisement was being beamed during the break. 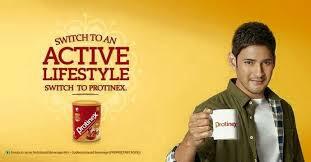 And it had the Prince of Telugu cinema, Mahesh Babu propagating the virtues of a healthy drink “Protinex”. He went on to say that Protinex is very good for people and warned us all “Glibly” that other protein drinks that we are drinking are not good and that we a should drink only Protinex. “Wonderful, Prince”, I said to myself “very smart and very good. Till today you have been the brand ambassador of Thums Up have been asking up or rather goading us all to drink Thumps Up and be adventurous. Now you yourself are saying that other protein drinks are not good. What about soft drinks, especially Thumps Up? Does that mean that your earlier endorsement of Thums up was wrong, or is both good drinks good and should we drink both drinks simultaneously”. Oh Celebrity endorsers, have common sense. Your audience is watching and seeing the laughing stock that you are all becoming! Try to build a brand and a brand image that is long lasting. Once you start endorsing all the products that approach you, your loyal fan base and even general public will stop believing in you. It could be the death knell for the brands that you endorse! Very interesting observation, Telugu celebrities are confused and sign-up for money.